Fortnite Battle Royale’s challenges for week four of season four will be available to Battle Pass buyers tomorrow morning. But you don’t have to wait until then to find out what’s in store. The complete list of challenges has leaked out early — and it’s going to be difficult to conquer thanks to recent changes to the game. 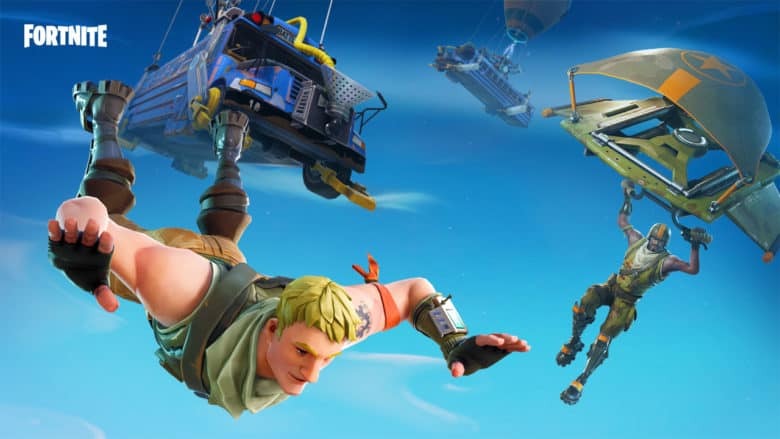 Buying a Fortnite Battle Pass gives players the opportunity to unlock new outfits, gliders, emotes, extra V-Bucks, and more as they level up. These things can’t be purchased separately from the in-game store, so players put in a lot of work to bag everything they can before the season ends. The fastest way to level up and earn Battle Stars is by completing all of the daily and weekly challenges set by Epic. The weekly challenges alone will earn you 50 stars, which is enough to sail through five Battle Pass tiers. Here’s what you can expect for week four of season four. As usual, there are seven challenges for the coming week — four of which are considered easy, while three are considered hard. The easy challenges will earn you five Battle Stars when you complete them, while the hard challenges will earn you 10 stars apiece. This week’s challenges, which were discovered early by Fortnite Tracker, will be a little more difficult than usual for most Battle Royale players. Two of the tasks, in particular, will be tough to complete. Visiting the center of different storm circles in one match is self-explanatory, but it requires you to stay alive long enough to see three different circles and then reach the center of them — where almost every other player in the game will be trying to complete the same challenge. Many players will try to avoid the center of the storm circles and move in with the storm itself in an effort to stay away from remaining opponents. You’re less likely to run into other people if you get into the circle as late as possible. But you can’t do that if you want to beat this challenge. Getting an elimination with a damage trap will also be difficult. Epic recently nerfed traps so that they now deal just 75 damage — as opposed to 125. This means opponents will need to be low on health already to be wiped out instantly. You will likely spend a long time trying to finish this one. Fortunately, the other five challenges look relatively simple. You’ll be able to start completing them tomorrow morning when they go live. We’ll publish our challenge guide for week four around the same time to give you some help.